It's an abnormally cold year. I've seen empty garden beds, drooping tomato plants in windowsills, and rusty garden tools. Well La Nina, you are not stopping me. 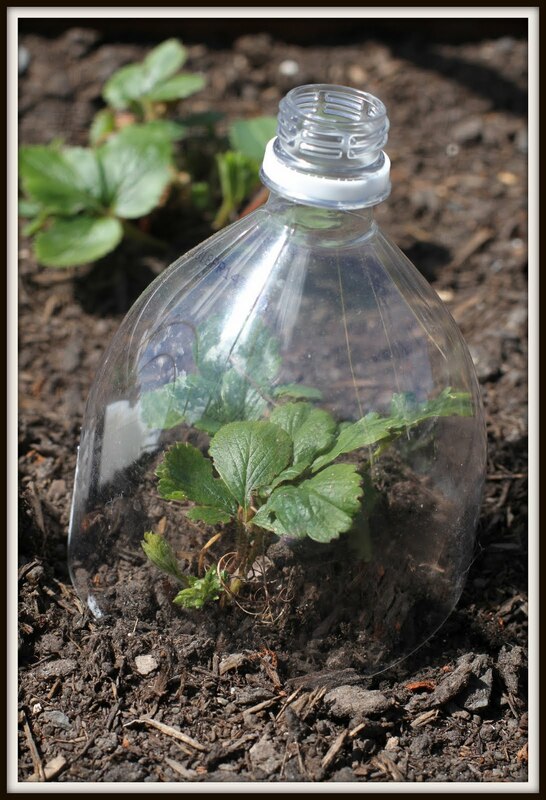 Time to talk cloches (the purpose of a cloche is to protect a plant from frost, winds, or heavy rain). I found these at the local garden store and have successfully been using them on my lettuce and strawberries. Place over newly planted seeds, it will keep them warm and toasty. They will also prevent your seeds from drowning in the case of a rainstorm. Place over transplants, this will help them adjust to being outside. Keep around the base of tomato plants, if you ever get to plant them. 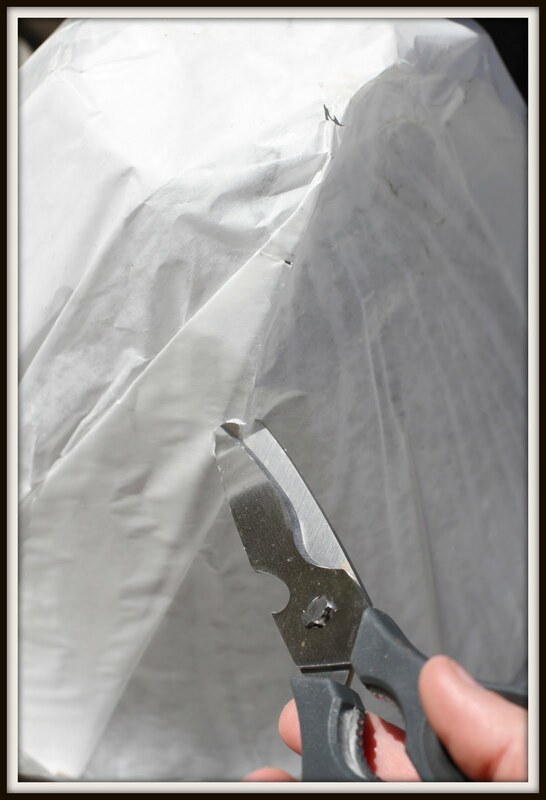 Here are some things I have learned by trial and error from using HotKaps or other cloches. 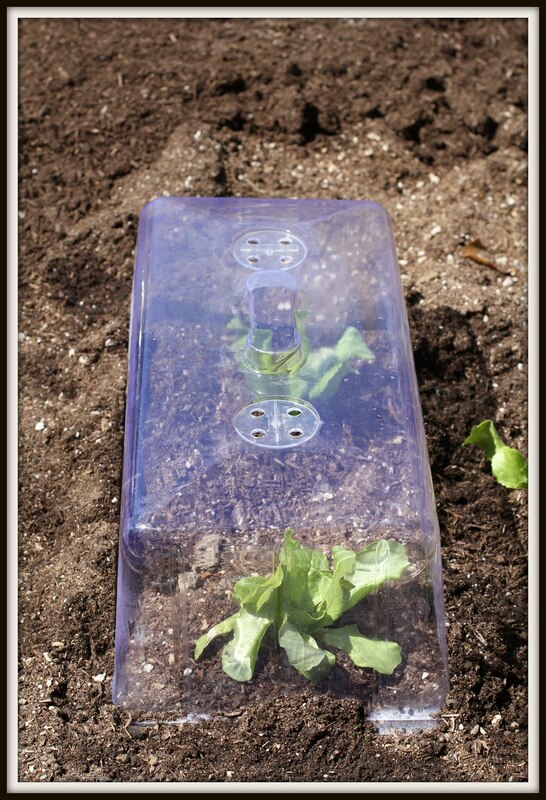 With HotKaps you can rip open the top to allow the plant to keep growing while keeping the base warm (similar to the tomato picture above). If your cloche seems like it won't allow much sun in, you may want to take off the cloche during the day and put it back on at night. Remember these bottles from this post? What else could you use as a cloche?